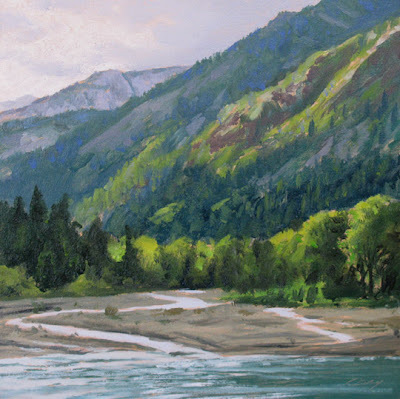 The Wallowa River begins as snowmelt in the rugged Eagle Cap Wilderness of northeast Oregon. The icy stream feeds the deep, pristine waters of Wallowa Lake, carved out by a glacier eons ago. Poetically captured in words and brushstrokes Don!